Simply Shutters a name you can rely on! 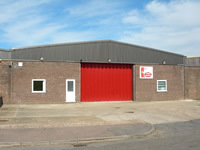 Simply Shutters Ltd is a family run business operating out of a small town in Suffolk called Brandon that lies about 15 miles northwest of Bury St Edmunds and 6 miles from Thetford on the Suffolk/ Norfolk border. We specialise in the manufacture UPVC / maintenance free vinyl exterior decorative window shutters as well as fully operational window shutters in a variety of styles and colours and serve both the trade and retail markets. 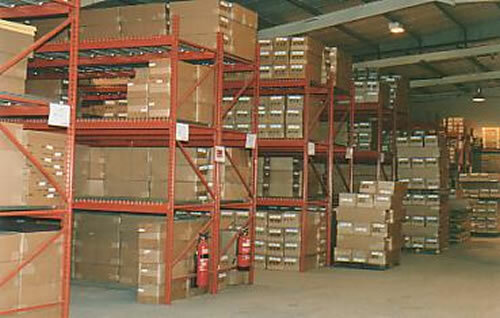 The Company began life in 1995 and became Simply Shutters in 1999. Simply Shutters does exactly what the name implies; we specialise in the manufacture and distribution of polypropylene vinyl exterior shutters and we are without doubt the UK’ s leading retailer in this area. Simply Shutters strives to provide old fashioned traditional levels of service in conjunction with increasing use of modern methods of commerce. Should you have any questions that are not answered on this website, we will be happy to discuss these with you on the phone or via e-mail? If you are local to us then we will welcome you popping in to see the products and to ask us any questions that you may have?. With the exception of the ready made Master Shutters Series, all of our vinyl UPVC products are made by hand, to your specifications, by our skilled workforce. As a direct result you can be absolutely assured that whatever you order the finished product will be well constructed and will meet your requirements. Furthermore, we are the only UK manufacturer, distributor and retailer of these products to build directly in our own workshops. We do not rely on subcontractors or agents to build the shutters for us so that you can be assured that the finished shutters are built to the highest standards and the costs are kept low! 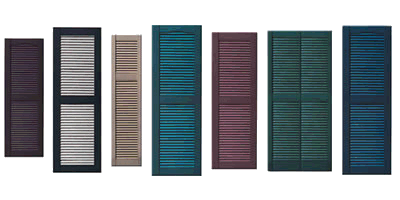 We now have a range of superb fully functional exterior window shutters that further increases the versatility of our range to accommodate those clients who have a need for a fully operational shutter. The information and pages for these products will be added to this site very soon. In the interim, should you wish to obtain information on these products, please contact us directly by using the e-mail link, or by telephone or fax, and details will be mailed to you. We are so sure that you will be delighted with our polypropylene vinyl products that we offer a 14 day money back guarantee just in case you are not? Conditions apply so please ask for details. You certainly cannot buy a better maintenance free window shutter than a Simply Shutter and, in our opinion and that of our many thousands of satisfied customers; you cannot buy from a better specialist exterior window shutter company than Simply Shutters. 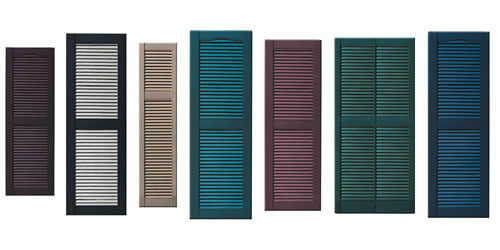 Simply Shutters will always be a name you can rely on!